A rainy weekend means lots of time on the computer. I have tweeted about the Five Minute Photographer before. They released an excellent sample video on Youtube which has made it’s way on to numerous blogs. But, no one has actually written about them … until now. Shelton Muller is the main voice behind the tutorials. 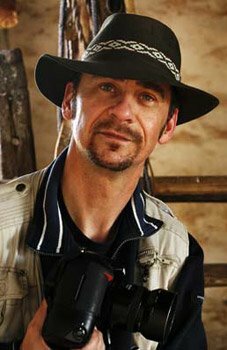 He is a well-known international photographer and the publisher/editor of Total Image and Better Pictures magazines, as well as his personal blog. Five Minute Photographer has two memberships available: a 6-month membership for $25 USD or a 12-month membership for $40 USD (they are in Australia, so the costs are in AUD). The membership includes access to the current video library of 20 5-minute videos and any new ones released during the membership period. (They have been releasing at least one new video per month.) You also gain access to their articles and a very active forum of photographers with topical discussions and critiques. If you are not satisfied, they also offer a full money-back refund. So is it worth it? Yes! I joined and I have watched several of the videos. They videos are top-notch, both educational and inspirational. Every topic is explained with numerous photos. I would love to see them put together a book or DVD compilation. They are that good! I have paid more for DVD tutorials that do not cover the depth and variety of topics. But, judge for yourself. The sample video is below. ← Previous Previous post: Topaz Labs Denoise 3 – tough on digital noise!